Dr. Rebecca Winthrop discussed what works in girl’s education and its importance on a local and global scale on April 5, 2016. Dr. Ken Bedell moderated the talk. Rebecca Winthrop discussed her latest book release entitled What Works in Girls Education: Evidence for the World’s Best Investment, which compiles over forty years of research on girl’s education and argues that the improvement and investment therein has a wide-reaching impact upon the world ranging from the economy, public health, reducing child marriage, and the empowerment of women. The economies of the world benefit from women being included within the labor market. The more education women receive, the more likely they are to have higher wages/income, provide for their families, and promote their own financial independence. Correlated with a decrease in infant and maternal mortality; health journals show half a decrease in infant mortality since 1970 has been due to an increase in the education of mothers. Educated women are more likely to make contributions to political processes that are devoted towards social services, childcare, education, etc. 62 million girls are not enrolled in school (sub-Saharan Africa, Southwest Asia in particular); only 8% of girls finish the last year of secondary school in Africa. There exists a subset of countries where girl’s education is a particular concern (Known as girl’s education “hotspots”). An estimated 80 countries around the world are considered hotspots in which education for women is severely limited and/or constrained. Implementation of conditional cash transfers: initiatives originating in Latin America that involve paying parents to keep their children in school by requiring regular attendance, mandating minimum exam scores, the postponement of marriage, and so forth. Placing a greater emphasis on girl’s health, reducing time and distance to schools, and maintaining educational institutions during periods of emergency and social upheaval. Improving learning standards by hiring teachers with better training/credentials or finding individuals from local areas who are familiar with the local vernacular language and culture. Developing strategies for helping children who are the furthest behind such as tutoring services for improving reading and literacy. Cultivating “soft skills”: problem-solving, interpersonal skills, and professional networking. 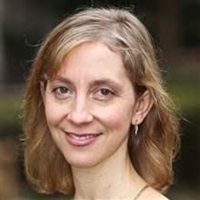 Rebecca Winthrop is a senior fellow and director of the Center for Universal Education at the Brookings Institution. She is the former head of education for the International Rescue Committee, a humanitarian aid NGO. Her research focuses on education in the developing world, with special attention to improving quality learning for the most marginalized children and youth, including girls and children affected by extreme violence.